Standard bodies are the bodies that we have in stock. 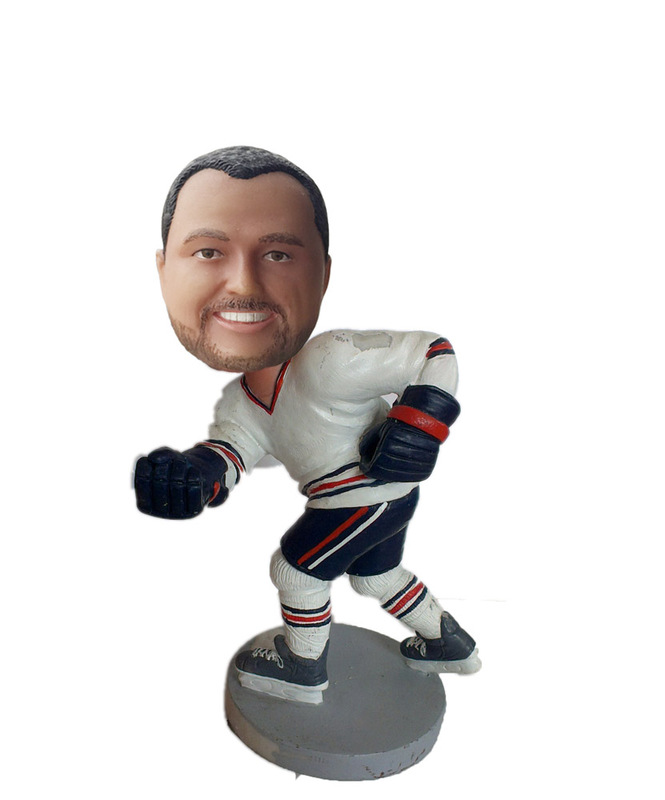 Our artists will sculpt Customized bobbleheads Skating Male In Hockey Outfit And A Stick according to your photo on the standard body,you are also allowed to change all the colors, such as body, skin and base. We offer free small add-ons, free clothing change and free base color selections.